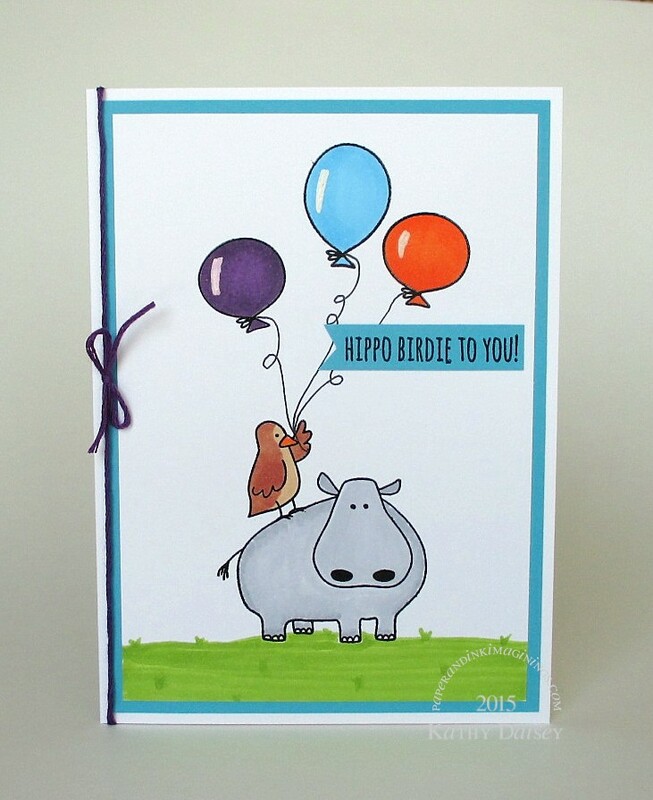 I had my Essentials by Ellen Wish Big set out again…I just love the hippo and the bird, thank goodness Julie Ebersole included the punny “Hippo Birdie to You!” sentiment. 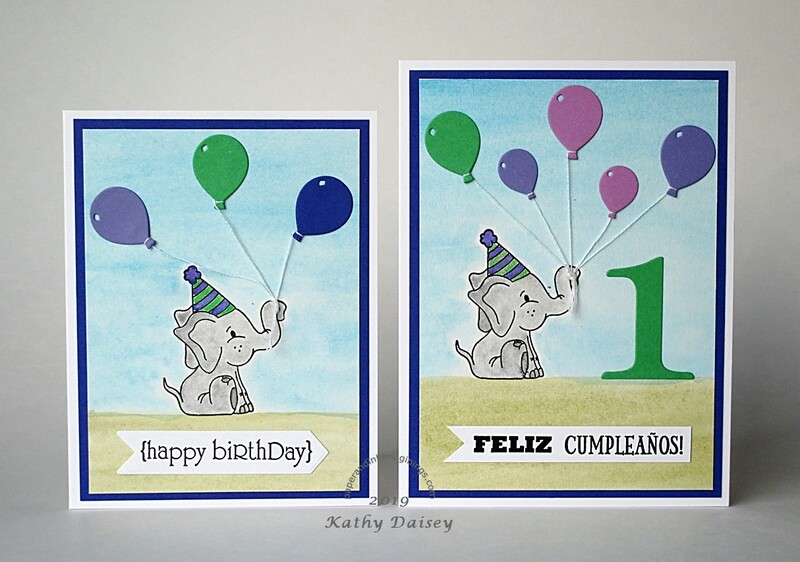 I stamped and embossed the balloons, the bird, the hippo, and then colored them with Copic markers. The balloons got Kirarina WiNK white pearl accents, and I drew in the strings with a Copic multiliner. This is going in the mail today. Supplies: Stamps – Essentials by Ellen, paper – Neenah Classic Crest Solar White, Stampin’ Up! Tempting Turquoise, inks – Copic B02, C1, C3, E15, E53, YG25, YR68, V68, multiliner, Kirarina WiNK pearl white, VersaFine Onyx Black, embossing powder – Filigree Fine Art Powder clear, embroidery floss – IRIS. Categories: birthday, card | Tags: card, Copics, Essentials by Ellen, Iris, Kirarina, Neenah, Stampin' Up! | Permalink. I had this old Stampin’ Up! stamp set (Very Punny – retired, it was a Sale-a-Bration set, I think) still on my workspace from the neighbor’s new baby card. And the pig stamp sat up and begged for ink. Supplies: Stamps – Stampin’ Up!, paper – Neenah Classic Crest Solar White, Stampin’ Up! Razzleberry Lemonade, Smoky Slate, inks – Copic C1, R11, RV11, VersaFine Onyx Black, dies – Spellbinders, embossing powder – Filigree Fine Art Powder clear, floss – IRIS. 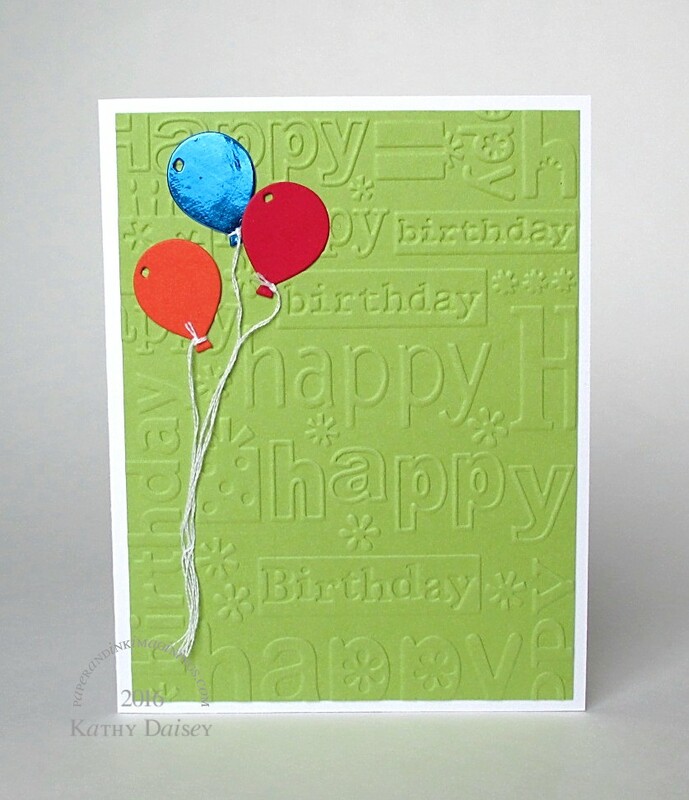 Categories: card, congratulations, encouragement | Tags: card, Copics, Iris, Neenah, Spellbinders, Stampin' Up! | Permalink. Another support/caring card. I used three different papers from the Heidi Swapp Favorite Things collection. Supplies: Stamp – A Muse Studio, paper – Heidi Swapp Favorite Things, Papertrey Ink White, Stampin’ Up! Pool Party, Soft Sky, ink – VersaMark, die – Taylored Expressions, embossing powder – Ranger Liquid Platinum, embroidery floss – Iris. Categories: card, caring, encouragement | Tags: A Muse Studio, card, Heidi Swapp, Iris, Papertrey Ink, Ranger, Stampin' Up!, Taylored Expressions | Permalink.